Take your career to new heights when you study at the Aviation Institute. 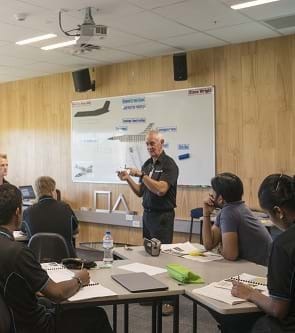 Join our National Certificate in Aeronautical Engineering (Pre-employment Skills) training course at either of our Auckland or Christchurch airline campuses, or learn to fly with one of our preferred flight training organisations and set yourself up for a lifelong career in aviation. Instructional staff at the Aviation Institute are all seasoned industry professionals who have spent all or most of their career in the roles they train for. Train alongside industry professionals Our domestic and international students train in the same facilities with the same professional facilitators as Air New Zealand's own staff. Lessons learnt and innovation from the operational environment transfer to our training programmes, ensuring they are best fit for industry. 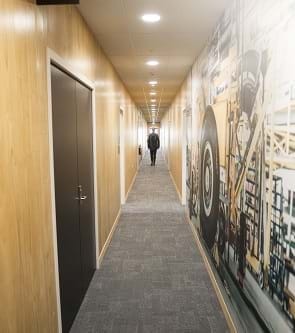 A real world learning environment, where you are connected to a 24/7 world class airline. Teaching and learning that focuses on what’s happening and what it takes in the real world of aviation right now. 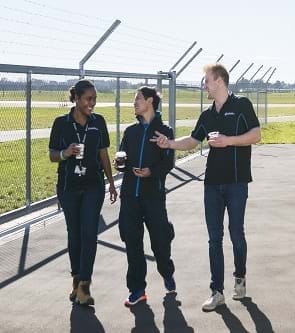 To learn a little more about the Air New Zealand Aviation Institute please feel free to download a copy of our latest Student Handbook. 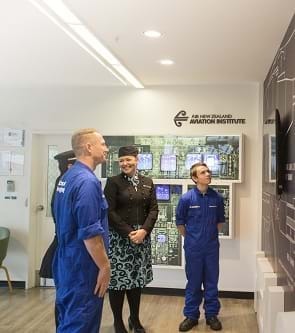 The Air New Zealand Aviation Institute is a registered and accredited Private Training Establishment with the New Zealand Qualifications Authority. 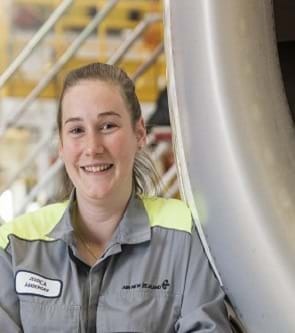 Each year Air New Zealand Engineering and Maintenance employ a number of trainees to meet its future aircraft maintenance engineer requirements in Auckland and Christchurch. 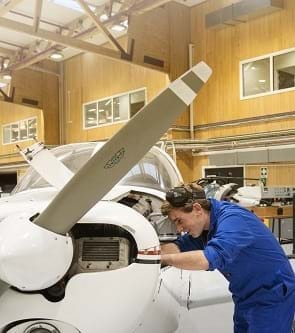 Selection for these sought after positions are made from graduates of the Aviation Institute's New Zealand Certificate in Aeronautical Engineering.